When the 38th âAnnual Conventionâ of the New Democratic Party (NDP) is held on February 5, a new chair will be elected for the party. The partyâs current chair, Dr Linton Lewis, told SEARCHLIGHT yesterday that he will not be putting himself up for re-election. 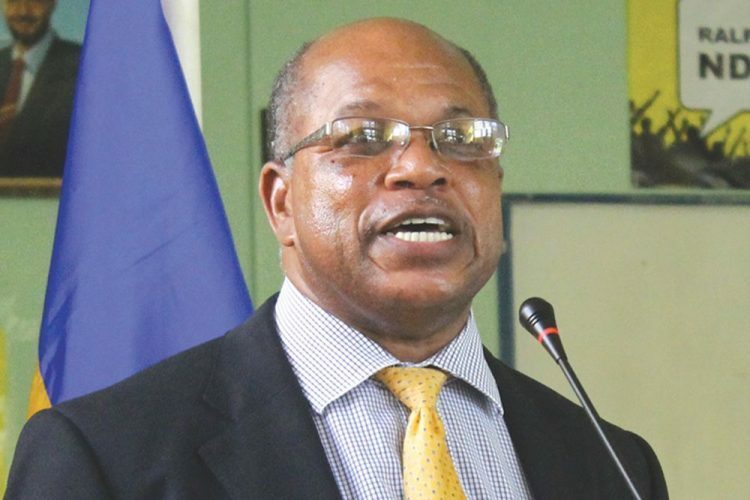 âI want to make that abundantly clear,â Lewis said, adding that his contribution to St Vincent and the Grenadines will continue as usual and his decision not to contest must not be seen as anything to do with the NDP, but rather how he sees things at this time. âIt has to do with personal reasons,â he clarified. The NDP has not had an âannual conventionâ since November 24, 2013. The party is 41 years old, having been founded on December 3, 1975 by former prime minister Sir James Mitchell. At the February 5 Annual Convention, elections for the two vice-presidents, the secretary general, the assistant secretary, the treasurer and the public relations officer will also be held. Less than two months ago, at an Extraordinary Convention of the party held on Sunday, November 27, 2016, Dr Godwin Friday was elected president of the party after Arnhim Eustace stepped down. The constitution of the NDP says the president and secretary general of the party shall both be elected for three-year terms, while the other officers of the party shall be elected by the Annual Convention. Lewis, however, told SEARCHLIGHT yesterday that he is âunclearâ about if the position of president will be up for election at the convention. At the last âannual conventionâ, then party president Arnhim Eustace, along with then vice-presidents Dr Godwin Friday, St Clair Leacock, treasurer Bernard Mills and deputy general secretary Doris McIntosh were re-elected unopposed. The position of public relations officer was relinquished by Ernesto Cooke. He was replaced by then senator Vynnette Frederick, who was elected unopposed. Lewis, who was at the time a senator, came up against parliamentary representative for West Kingstown Daniel Cummings and was also re-elected. The vote for the chair resulted in a tie of 135 votes each for Cummings and Lewis, but to settle the deadlock, Cummings conceded. The incumbent secretary general of the party is Allan Cruickshank.